If you’re a fan of movies that pit people against the savage parts of nature, then you’re in luck. There’s not just one, but two such films on the horizon. Namely, we have belated sequel/reboot Jumanji: Welcome to the Jungle and the currently untitled sequel to 2015’s smash hit Jurassic World. Courtesy of Collider, we now have a bunch of posters for these two similarly-themed but very different movies. 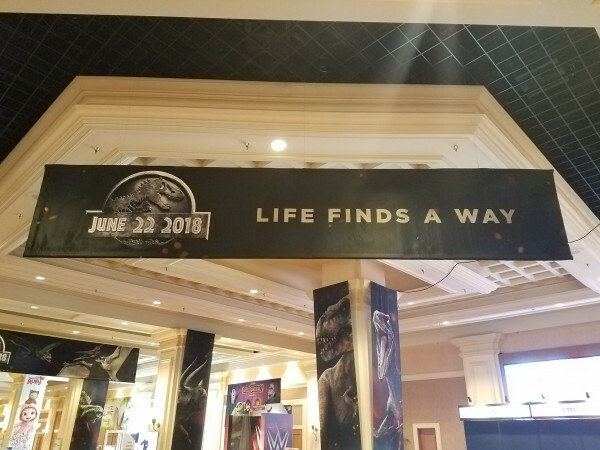 The posters were on display at the Licensing Expo in Las Vegas, where studios go to promote their upcoming projects to major brand owners. They aren’t intended to be shown to the general public yet, then, but thanks to the magic of cell phone photography, we have them for you here. First, we’ve got the poster for Jumanji. As you can see below, it’s clearly harking back to the 1995 original in the use of a very similar logo. 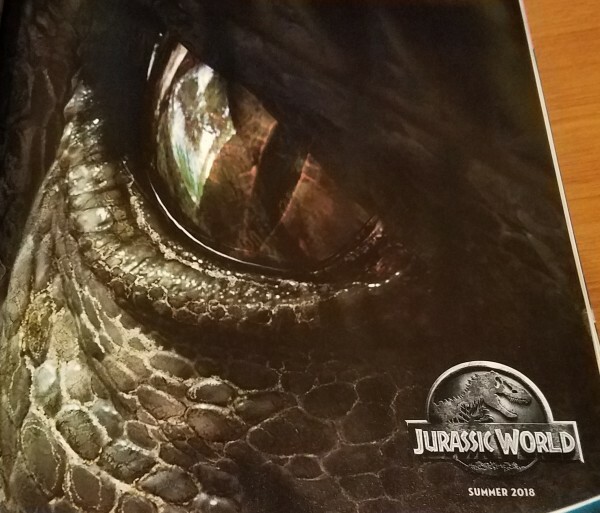 Second, we have a load of images for Jurassic World 2. It seems the film’s publicity department totally understand the main reason we’re interested in the movie: Dinosaurs…and Chris Pratt. But mostly dinosaurs. 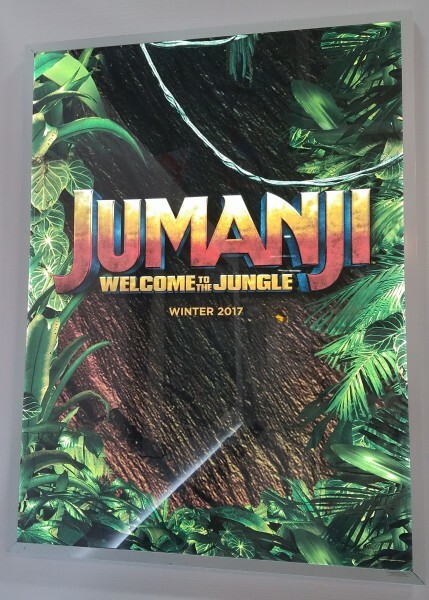 Jumanji: Welcome to the Jungle is a re-imagining of the Robin Williams family favourite which swaps the magical jungle-themed board game for a video game. It stars Dwayne Johnson as Dr. Bravestone, Karen Gillan as Ruby Roundhouse, Jack Black as Professor Oberon and Kevin Hart as Moose Finbarr, and will hit theatres on December 20th of this year. Jurassic World 2, meanwhile, will see Chris Pratt and Bryce Dallas Howard reprise their roles of Owen Grady and Claire Dearling from the first movie. Jeff Goldblum is also returning to the franchise as Dr. Ian Malcolm for the first time since 1997’s The Lost World: Jurassic Park. The film will tear its way through movie theaters on June 22nd, 2018.